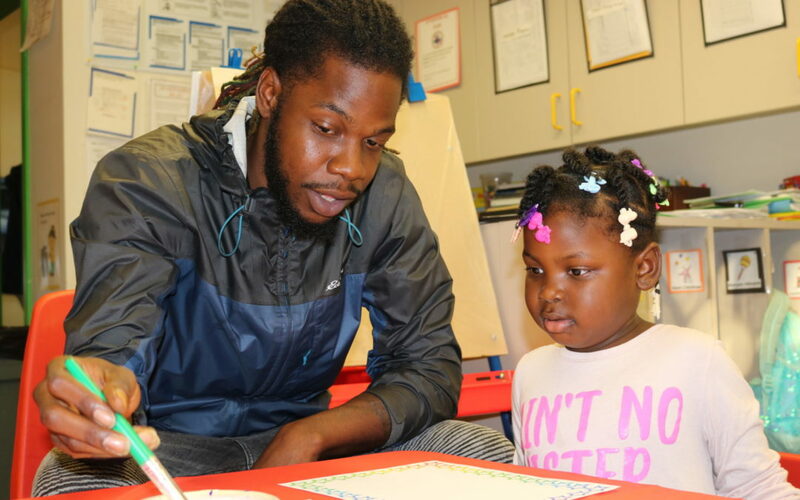 This Thursday was no ordinary day for students at CEOGC’s Head Start centers. Fathers and father figures from all over Northeast Ohio accompanied their children to school as they participated in the Cuyahoga County Annual Fathers Walk event. The Fathers Walk is sponsored by the Cuyahoga County Fatherhood Initiative. The idea is to create a healthy engagement between fathers, male mentors and their children by bringing them to school and creating fun projects together. 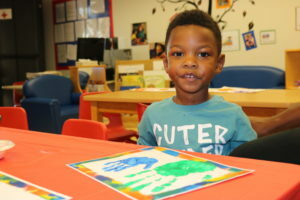 This year, each male figure painted their handprints along with their child as an art piece. The event also featured ‘Dad’s with Donuts,’ an initiative part of the Cleveland Dad’s Group. Everyone was served donuts and refreshments and enjoyed quality conversation with each other. The special event may be celebrated once-a-year, but the impact it has on the young scholars will last a lifetime.